Insulin is a hormone you want in your body. 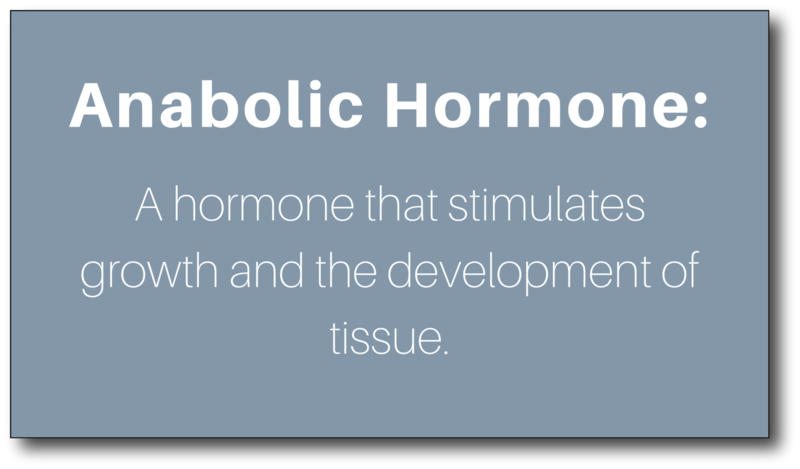 It is an anabolic hormone.This means it helps your body take in the nutrients it needs to grow and repair tissues. You would literally waste away without insulin. However, in our modern society with 24/7 access to food, we often take in more nutrients than we need for growth and repair. When that happens, insulin is presented with a problem: It needs to put those excess nutrients somewhere. So, the excess nutrients get thrown into the one place that can grow without limitations, which is your fat storage. With that knowledge, it seems like the logical solution for weight loss is to eat less food. By eating less, you never have an excess of nutrients, and therefore no need for fat storage. This is the logic we’ve been running with for the past 60 years. It is the traditional low-calorie or “calories-in-calories-out” approach to weight loss. In other words, eat fewer calories than your body need, and you will lose weight. Unfortunately, after 60 some years of putting this theory into practice, we have found that it did not have the desired weight loss effect. Instead, we experienced an acceleration in weight gain and obesity. Well, the one thing that a low-calorie diet does not account for is the fact that your body is always in pursuit of homeostasis. 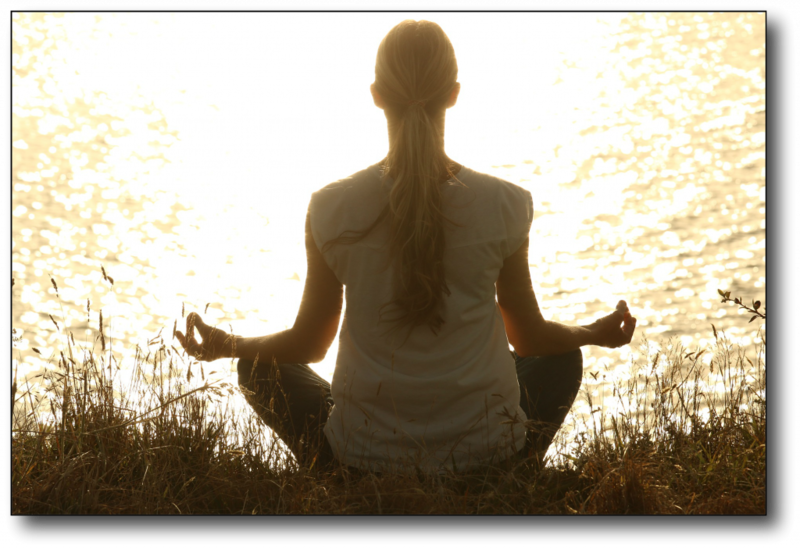 The simplest way to think about homeostasis is to think of it as balance. Your body regulates everything so that nothing will go too high or too low. A good example of homeostasis at work is your body temperature. It always hovers within a fraction of a degree of 98.6 degrees Fahrenheit. When you step outside on a blisteringly hot day, actions are initiated inside your body to keep you cool, so your body can maintain balance or homeostasis. Your metabolism functions in a similar way to body heat. 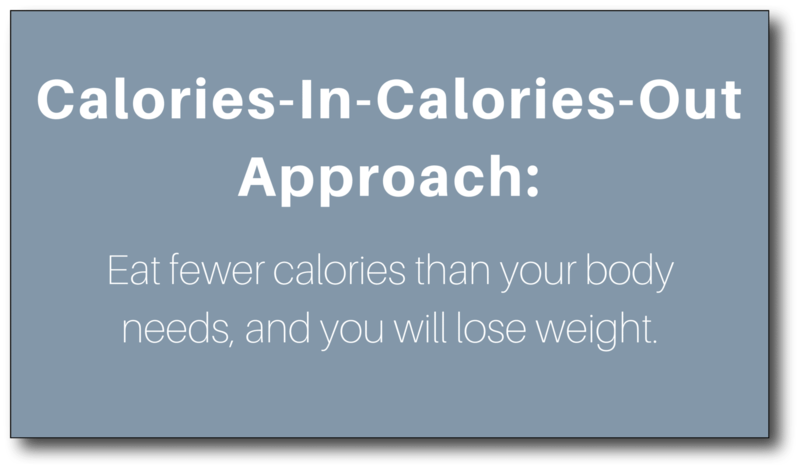 If you reduce the number of calories that you are eating in an attempt to lose weight, your metabolism will slow down so that you burn fewer calories to keep it balanced. 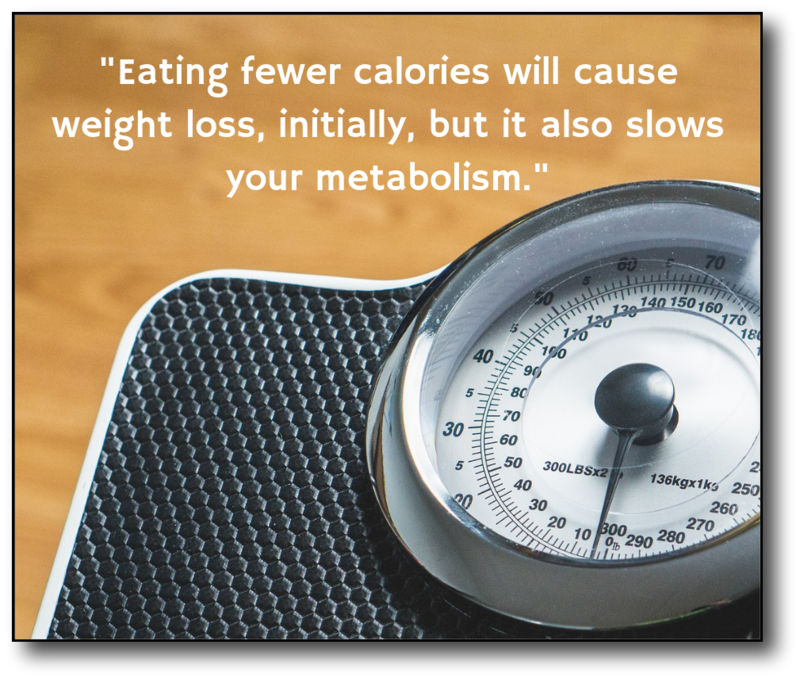 What we found over the years was that eating fewer calories will cause weight loss, initially, but it also slows your metabolism. At some point weight loss then stops because your body has adapted to the new low level of calories that are coming in by burning fewer calories. The concept that eating fewer calories leads to a slower metabolism is reinforced by studying participants from The Biggest Loser reality television show. (1) These participants were in a race to lose weight. To do so, they subjected themselves to massive amounts of exercise and limited calories. The participants lost weight, but appear to have also permanently slowed their metabolisms to the point where they can no longer eat as many calories without regaining the weight. This is even true in participants that were studied six years after the competition. This understanding of balance in the body has allowed us to look at the problem of weight loss differently now in the 21st century. There has been a change to the theory of how the body permanently loses weight. Specifically, there is a movement away from the calories-in-and-calories-out model to a hormone model. We now understand that hormones regulate your weight. The hormone with the most influence is (you guessed it!)…insulin! As I established before, insulin is an anabolic hormone, so its job is to build things. When insulin is present, your body can store fat or build your fat storage. 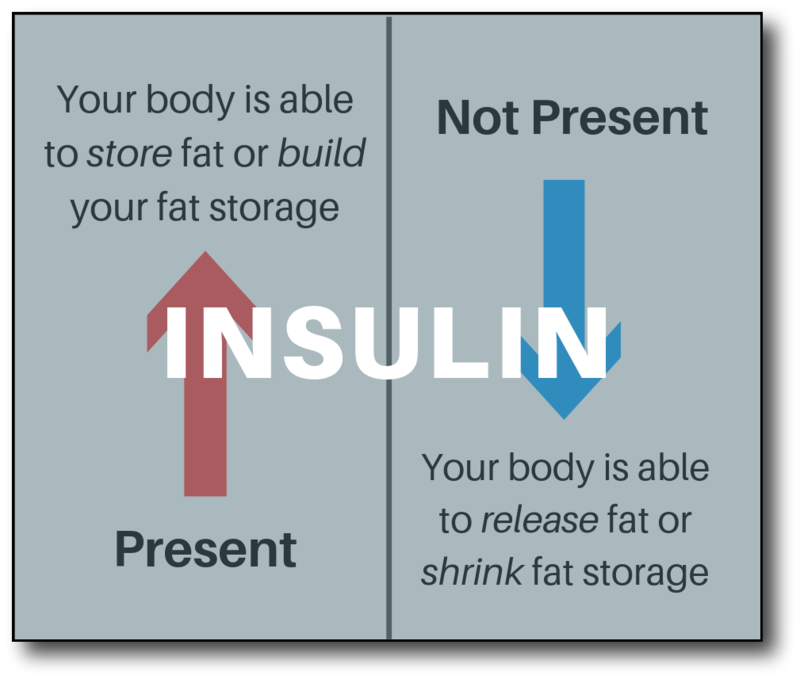 When insulin is not present, your body can release fat or shrink fat storage. If you eat in a way that keeps insulin low, you will stay in a fat-burning mode where your body can release fatty acids from fat storage and burn them as fuel. Eating in a way that keeps insulin low is the basis of why low-carb and ketogenic diets have proven to be so successful for weight loss. With the introduction of tools like the glycemic index back in the early 80’s, we have learned that different foods have different effects on your blood sugar and insulin levels. 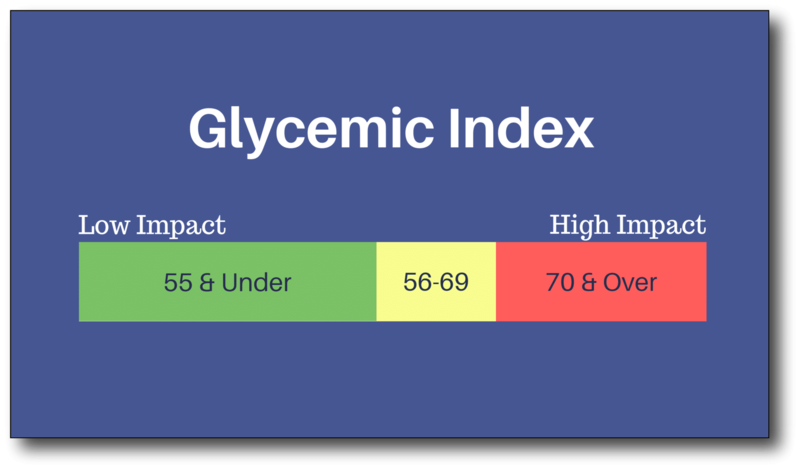 The glycemic index is a simple scale used to predict the impact a food will have on your blood sugar. This is important to know because insulin releases in response to a rising blood sugar level. Therefore, if you choose to eat foods that have a minimal effect on your blood sugar and insulin, you will have slower fat storage and faster fat release. Which Nutrients Raise Your Blood Sugar? There are three macronutrients in the foods we eat. They are carbohydrates, proteins, and fats. Generally speaking, we see that carbohydrates have the highest potential to raise blood sugar. Protein can elicit a mild to moderate rise in blood sugar. Lastly, Fats have little or no impact on blood sugar. What Food Choices Do I Need to Make to Lose Weight? You need to make food choices that will cause your body to make a shift toward being a better fat burner. To do this, focus your food choices on healthy plant and animal fats, like avocados, nuts, seeds, meat, dairy products, and healthy cooking fats. At the same time eliminate sugar and refined carbs and limiting grains and other high-carb foods. Eating this way will allow your body to let go of the fat it has in storage without throwing your body out of homeostasis. This is because without carbohydrates the body becomes more efficient at burning body fat as fuel. Since fat as an energy source is abundant, there is no need for your body to slow its metabolism. Losing weight in the 21st century is moving toward a new understanding. 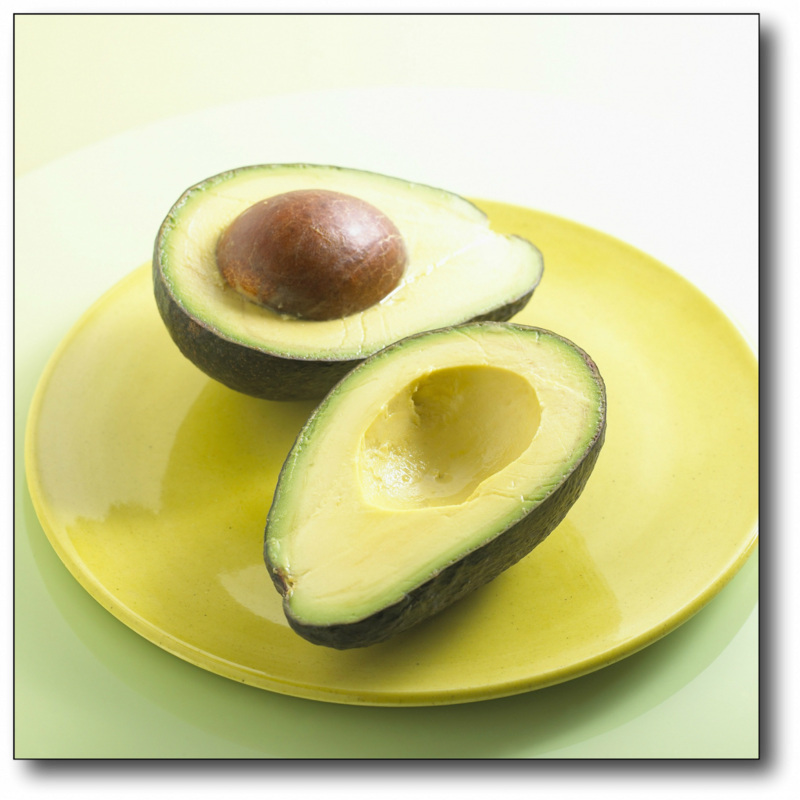 The majority of your calories should come from healthy fats. You should limit your carbohydrate intake. Consume an adequate but moderate amount of protein. If weight loss has been hard for you, I think you will find controlling your insulin level by eating a high-fat, low-carb, and moderate protein diet very rewarding. 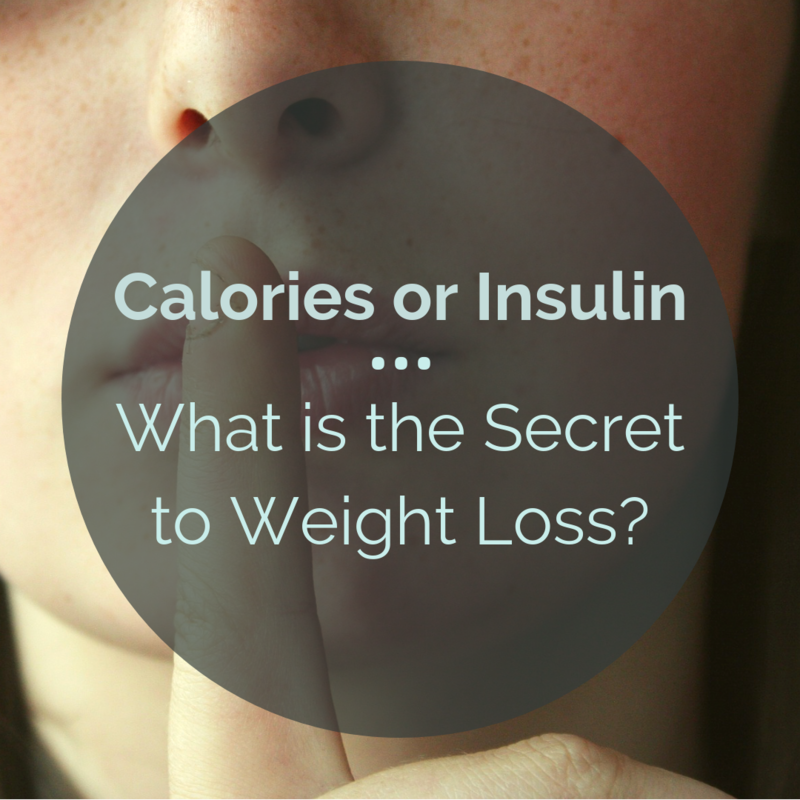 Weight loss happens when we control insulin but should we also be calorie-counting? 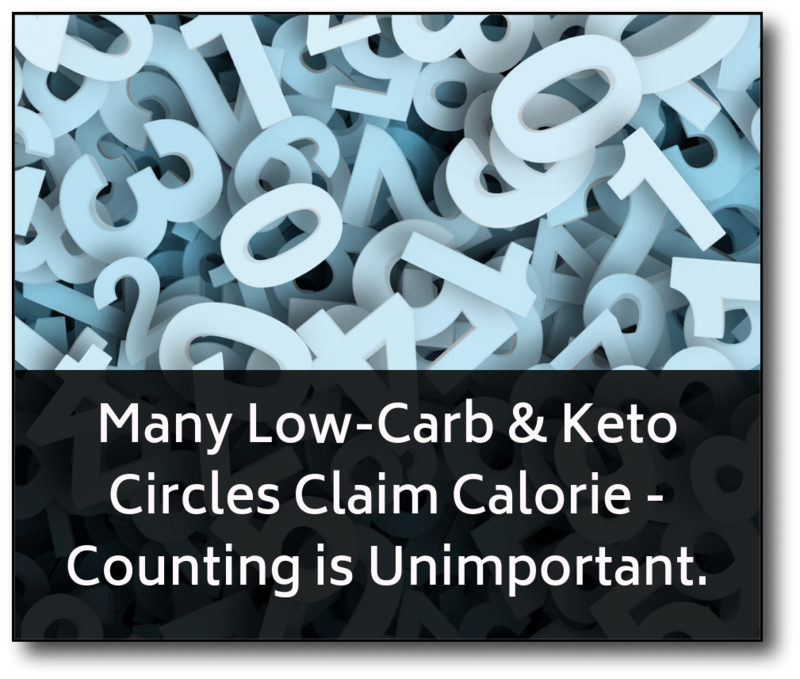 Well, I often hear people in low carb or keto circles stating that calories don’t matter. The base of their argument is the idea that high-fat foods are very satiating. When eating these satisfying foods, you do not get as hungry between meals. Therefore you self-regulate how much you eat, which makes calorie counting unnecessary. I believe there is some truth to the reasoning that eating a keto or low-carb diet keeps you from feeling hungry and overeating. However, I also believe that many of us have been overeaters for so long that we have lost some of our ability to self-regulate. We have to relearn to regulate our food intake before we can rely on our bodies to tell us. If we don’t go through that relearning process, we will continue to overeat. Even if the food coming in is fat calories that don’t spike insulin, our bodies use that abundant amount of dietary fat as fuel, and never develop the need to pull the fat out of body fat storage. What I have found is that many of us need to relearn the difference between actual hunger and false hunger. 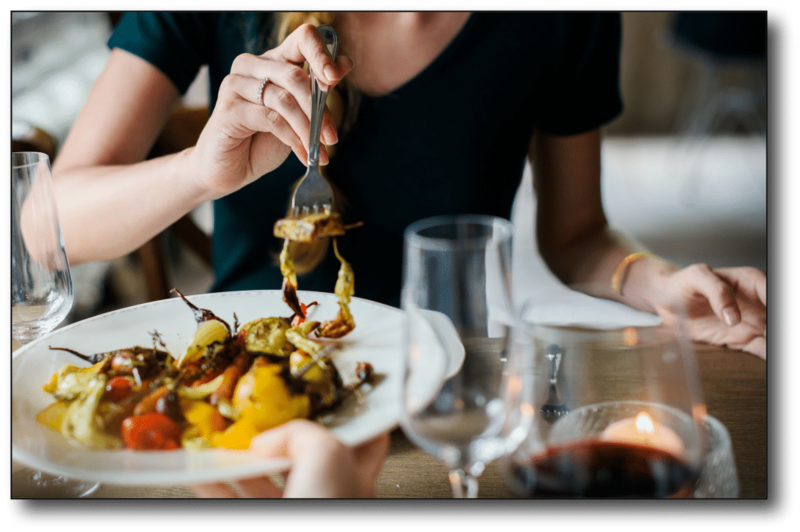 Until we recapture the skill of recognizing real hunger, It is a good idea to calculate your body’s caloric needs and track your nutrient intake. Fortunately, this is all very doable. In my weight loss coaching program, I have a simple exercise that will get you back in touch with how actual hunger feels. I also teach you how to calculate your caloric needs based NOT on your total weight but instead based on only your lean mass. In my opinion, basing calculations on your lean mass is a more accurate assessment of what your body needs. This is because you want to eat enough to support your lean muscle tissue, but not your total body weight, which includes fat. 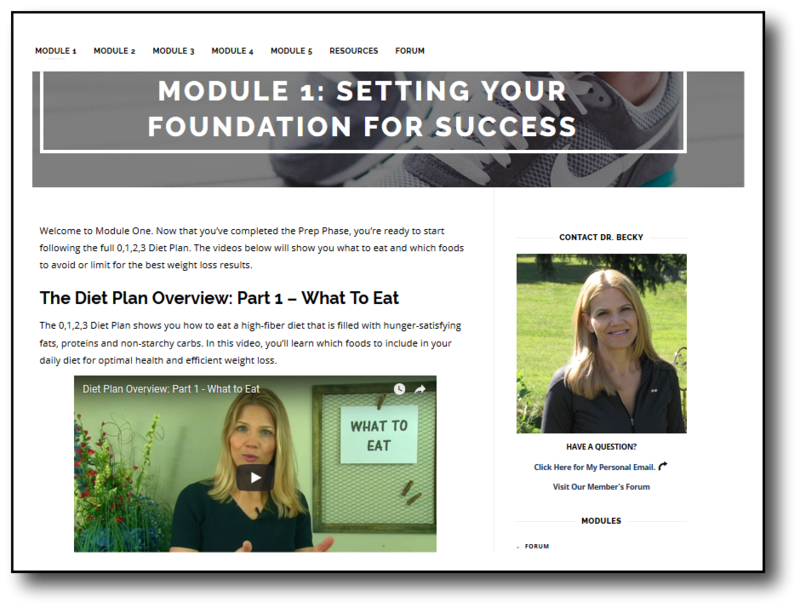 So, if you’ve had trouble losing weight and you would like some guidance, I invite you to check out my coaching program. Fothergill, Erin, et al. 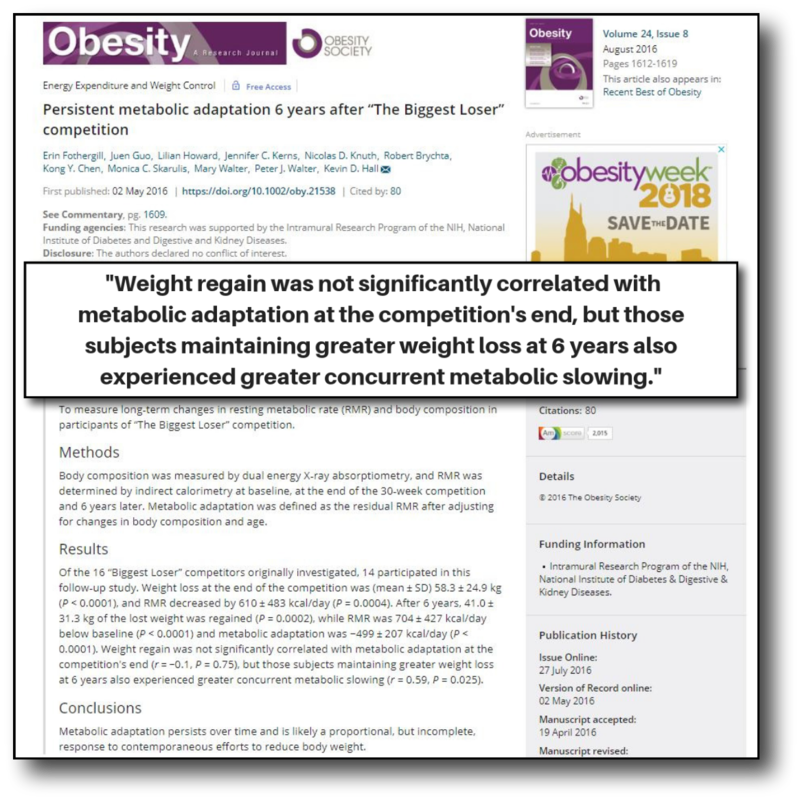 “Persistent metabolic adaptation 6 years after “The Biggest Loser” competition.” Obesity 24.8 (2016): 1612-1619. Is Fruit Juice Concentrate Healthy on a Low-Carb Diet? 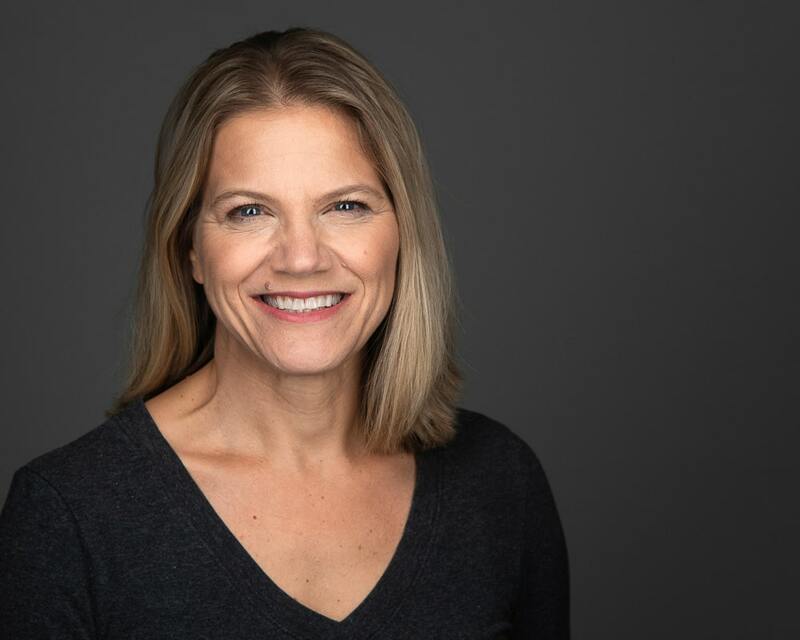 Dr. Becky, what are some good alternatives that I can have in place of cereal and and oatmeal besides plain Greek yogurt? Also, I love peanut butter and jelly but want to get rid of the bread, any suggestions on how I can still have that without putting it on bread?